We do all types of registrations like Partnership firm, LLP , Private limited companies. Looking for registering a private limited company in Bangalore or anywhere in India, Patson Legal Knowledge Process Pvt Ltd is a best company registration services provider can assist you to complete your private limited company registration within the 7 days of time frame without any hidden fees. GET A LIMITED LIABILITY PARTNERSHIP REGISTERED WITH MINIMUM TWO DIRECTORS AND BUSINESS CAPITAL UPTO 5 LAKHS. Private Company means company having minimum of 2 and maximum of 200 members and limits owner liability to their shares. 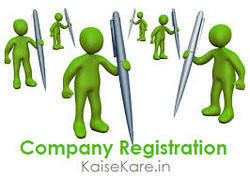 For Registering Private Limited Company following documents are required. To run a Business with limited Liability and as a Company one has to register the entity with Registrar Of Companies (ROC), ROC comes under the Ministry Of Corporate Affairs. We help you with Registering your company and also manage the initial Legal Formalities. Factory Registration applying to drawing approval and obtaining Factory License and renewable from the Department. Maintenance of statutory records and submission of Periodic Returns etc. under Factories act, 1948. (1) This act may be called the Factory Act, 1948.